Closed On: Monday, May 14, 2007 4:28 PM. 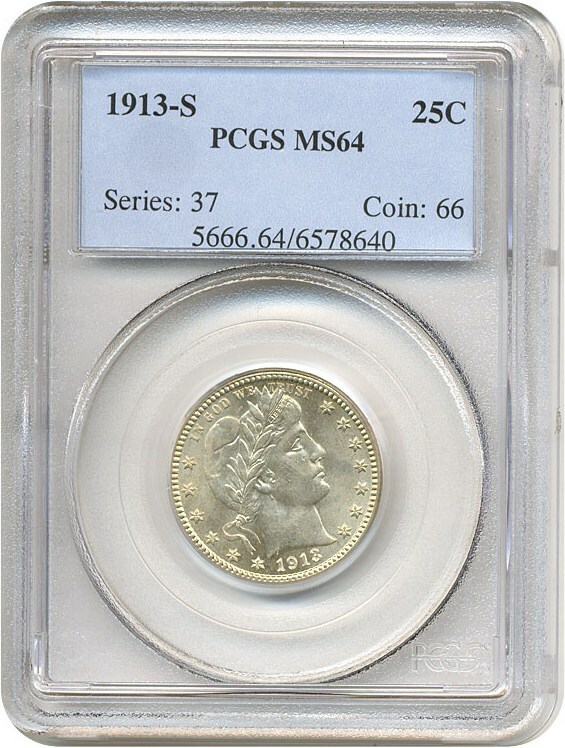 One of the big '3' key date Barber quarters, the 1913-S boasts the lowest mintage of any 20th century silver coin issue. Just 40,000 coins were struck and very few are preserved in high grades. This is one of the more attractive Uncs. we have handled in quite a while.